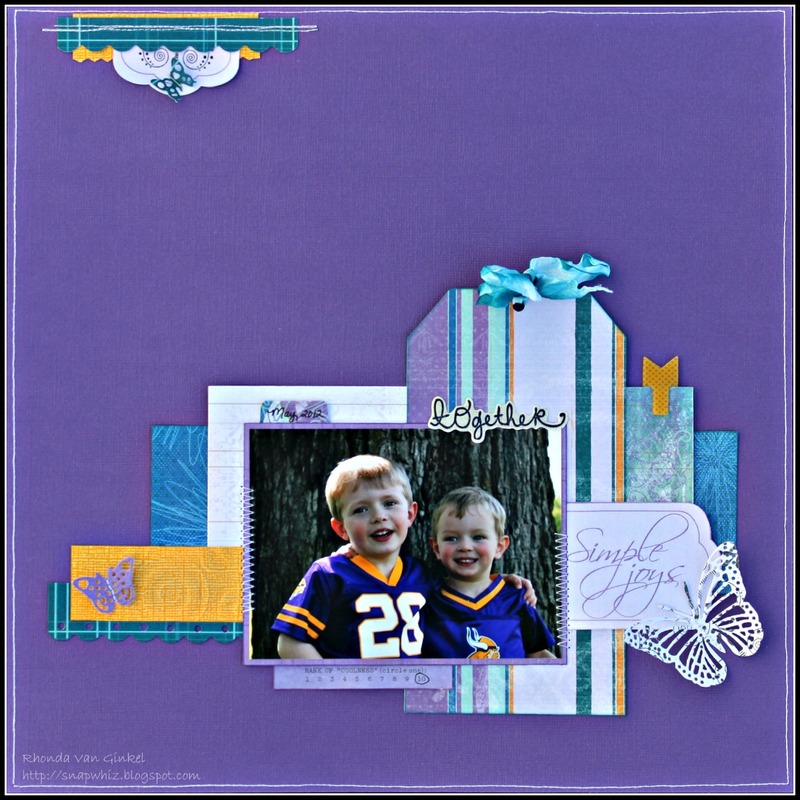 Rhonda here today to share a layout with you that I created using the inspiration sketch from our very own Karan Gerber. 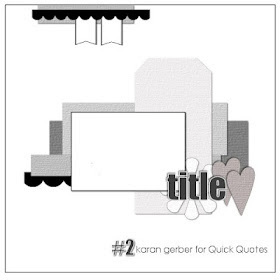 Each month she will be sharing a new sketch for us and you can find it on our right sidebar. The "Simple Joys" sentiment was trimmed and you'll find the remaining portion on the upper left at the top of my page. Now honestly, Summer Breeze is a floral inspired kind of line, but I thought it was fun to show that you can create a masculine look with it also. I love the stripes and the grid patterns of the "b" sides of the papers. A bit of the gold popped in helped to coordinate nicely with the photo and tie into the line as well. You can see that I didn't deviate much from the sketch. I could have easily added the hearts from the sketch or some stars, but I liked the idea of a few butterflies. Clip, Coolness Rating and Together sticker by K and Co.
Have a fabulous Friday and please share your creation with us if you happen to be inspired by Karan's lovely sketch! We would love to see it!!! Gorgeous you know me a total Purple lover..
My favorite color this is so cute. 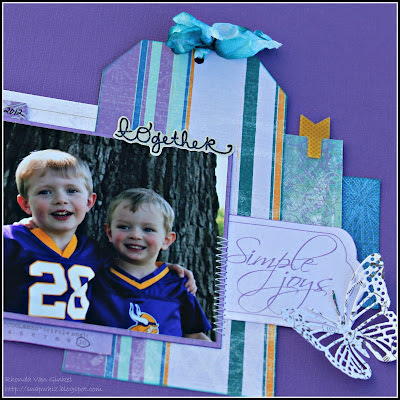 FABULOUS...I would never have chosen purple for these cute guys BUT, you rocked this l/o with the purple combo! GORGEOUS LAYOUT!!!! You did ROCK that purple!!! Adorable!! Love that you turned this line into a "boy" layout!! i love your take on the sketch, love the white space...awesome work Rhonda! !